The focus in the world of fashion and beauty has always been on the superficial, physical appearance. But the essence of beauty can always be found in the details; the seams of a glamorous dress, the dimples of a spotless smile or the oceanic blue shade of someone’s eyes. Just as many professional designers often use just these details to enhance their creations and dazzle their audience, so can you. Your eyes are a unique and personal source of color that, if used properly, can be a great foundation for your look. Not only can using colored contact lenses enhance your natural beauty, but they can also draw attention to your eyes while emphasizing the rest of your outfit. However, finding the perfect color contact is more complicated than simply going out and buying a pair, and then hope for the best. There are many things to consider, so let’s start off with the basics. The color of your eyes lies in the iris, the pigmented area around the pupil that controls the amount of light entering the eye through contracting and dilating the pupil. What exactly determines the color and unique pattern of your iris is simple genetics. Our eye color is based on genes inherited from our parents and while shortly after birth the eye color can change, it will usually stabilize when you are between 6 months to 3 years old. Eye color is commonly classified as amber, blue, brown, gray, green, and hazel, all of which are a combination of 3 true pigments: brown, yellow and blue. What are color contact lenses? When talking about colored contact lenses, remember that there are only two types used for cosmetic purposes. Enhancement Tint contacts will, as the name suggests, not actually change the color of the eye, but rather enhance your existing color. If your eye color is a lighter shade of blue, an Enhancement Tint will make the blue thicker, striking and more intense. 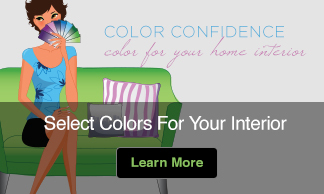 It is in the Color Tints where you will find the possibility to dramatically change the color or pattern of your eye. There is a whole industry devoted to Color Tint lenses with a full range of colors and designs. Seeing as you can get virtually any color you want to decorate your eye, here are some professional guidelines for choosing colored lenses many brands and retailers recommend that you follow. The first decision should be whether to use color lenses to enhance your natural eye color or drastically alter it. The decision depends partly on your personal opinion about your current eye color but also on the context in which you will wear the lens. Enhancement Tints are perfect to give your eye that little extra and still maintain your natural look. A complete makeover might not be appropriate at work or in school. However if you’re attending an event, a costume party, or walking the red carpet, Color Tint lenses are perfect to add a little drama to the occasion. The second step is to match the appropriate colored contacts with the rest of your appearance. Now, color contacts are a fashion accessory and should be used accordingly. A common rule of thumb in the business is to try to determine the primary, secondary, or complementary colors to match the color of your lens with the main color of your outfit, skin or hair color. The color wheel is often referred to when it comes to finding the suitable complementary color for you contact lens. It is not strange then that complementary colors are sometimes called complementary harmonies. 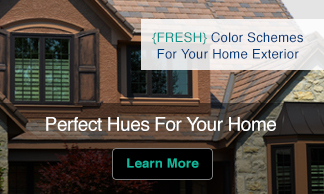 Our experts always advise brighter colors to be used if you want to draw most of the attention to your eyes. Moreover, by doing so, it’ll be much more noticeable that your enhanced eye color attunes to or contrasts with your clothes, shoes, lipstick, hair highlights, or other accessories and details in your look. But remember, always choose colors wisely and try not to have one color outdo the other! The bottom line is that your eyes are a great source of color and can do wonders to your style and look. All mentioned colored contact lenses above can be used by people with or without visual disorders, but do strictly require prescriptions from an eye care professional. Just remember to clean them frequently, do not share them amongst friends and do not leave them in during longer periods of time. I have brown eyes & thought golden or yellow would look good. What do you think of my choose with brown?